Soccer tournaments are going mobile. Parents and coaches are able to get scores and standings on their phones in real time from the fields to their phones rapidly, post photos and videos from the touchlines. Everything is wonderful! 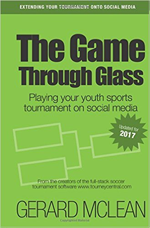 While the number of teams, parents and fans checking for scores at the sites have remained relatively stable, the way we use the internet has changed. Every tablet and phone is competing with every other tablet and phone for a channel from the cell tower. More streaming services are available, more real-time social media features, larger files and less low-data like checking websites and apps is being done. It’s the equivalent of a Walmart on Black Friday where they only have a few televisions and hundreds of customers busting down the doors to get in. Every wireless device that is being used at the fields is competing with your HQ team for wireless internet access. Bored siblings are playing internet games on their iPads on the touchline. Parents are streaming the latest episode of After Life as they wait for the referee to blow the whistle to start the game. The cell tower infrastructure at the parks that was designed for casual weather checks and texting for a few dozen people while feeding the ducks or strolling around the lake now has to accommodate a few hundred or thousand parents, players and their fans, all looking down at their screens. It also needs to provide the tournament staff access to their website admin modules. While wireless providers are promising unlimited data plans, they have generally not upgraded cell tower access on their public park locations. Moreover, “value” providers like Boost Mobile and some pre-paid plans are allowed by law to access the cell towers as a common carrier, while not contributing into upgrade costs. It’s like a soccer tournament adding three more fields, 20 more teams and not planning for extra port-a-johns. Things are gonna get a bit messy and long lines will form. This is very simplified because the real technical stuff is quite complicated. But for our purposes here, this will provide a basic understanding so you can make logistical decisions. While it may appear that cell service is freely available to anyone who wants to grab a signal out of the air, the technical reality is far from that myth. A cell tower — while an amazing bit of technology — is a hardware device that has hardware limitations. Again, not comprehensive, but essentially each cell tower has a limited number of channel pairs, one for incoming and one for outgoing. You need both for internet data and voice to work otherwise, your cell phone would just be a megaphone. If the tower has a free pair, it links up with your device and you can make a call, visit a website, etc. If there are no free pairs at the one tower, your device goes looking for another. In sparsely populated areas like suburban parks, there may only be one the services miles. In normal day-to-day life, that may be more than enough to service the park. If there are no channel pairs, you get a spinning icon as your device waits for one to open up. The exact number of channels available depends on the technology the cell tower uses (LTE, 4G, 3G, 2G… 5G coming) and wireless providers upgrade these on a schedule that is basically dictated by prevailing laws, community tax-base, market value… whatever it is, but suffice to say that if you are an affluent market and your local government is active and strong, you’ll get better service. Fair? Probably not, but reality. Again, this is by no means a comprehensive technical description of how cell towers works, but the important thing to remember is cell towers have a limited number of channel pairs. And every kid you see playing an internet-based game on their iPad or every parent live-streaming Netflix or doing a FBLive of their kids game, they are basically holding a channel pair hostage. When these fill up, the only thing that will knock them off is a 911 call. With no channel pairs left, even your tournament HQ will not be able to log in and update scores, even as the servers hosting your website are sitting with dedicated resources. But I have five bars! That means little other than your device has the potential for a strong signal. If there are no data channel pairs left because several hundred parents are all video-streaming their kids to Facebook Live, Instagram Live, Snapchat or TikTok they are hogging the channel pair you need to update scores. First on gets the channel pair. Unlike regular HTTP web traffic which is a quick millisecond on and off, these live-streaming apps must keep a constant connection. The “bars” you see on your phone are basically Apple, Android-manufacturers and cell service providers’ marketing gimmicks for users to believe it is not their phones or data providers that are the problem; it must be the website servers. It is not. Yup. Remember the Net Neutrality fight in 2017? The larger providers are paying the data providers for priority access. As important as your soccer tournament is to you is as unimportant as it is to them. While I have no hard data on it, I suspect that if a user hits Google or Amazon.com, some random parent three fields over will get knocked off their cell tower signal. Since we have all been conditioned to accept cell signals are spotty, nobody will figure that out. Possible. Are you using the same device as you used in the field? Your OS may still be cached, trying to use the same path to get to the website. Log out, clear your temp files, refresh your DHCP lease and then log in. Some OSs are so sticky that you may need to restart the device, reconnect to your WiFi and log in again. Also, if your home is close to the fields and you are trying to use your wireless device, you may be trying the same cell tower the rest of the parents are. Make sure you are connecting using a cable or DSL modem. We’re always revamping our code to be as skinny as possible, to make as few calls as possible to the database and serve up as few graphics on a page load as we can. The days before the tournament weekend, we ramp up server resources like RAM and CPUs to handle the increased load. We monitor server traffic and balance the load, especially on Sunday mornings when there is an increased interest in the final pool play scores. We watch the scores coming in and make sure that team are advanced quickly and that anyone who wants to get a score can get a score. (If we don’t see scores, we’ll probably be calling you….) We especially watch for bots scraping everything or hackers attempting a DDoS attacks and rabidly block these IP addresses at the firewall. In short, we don’t clock out on Friday night and check back in on Monday. We’re watching everything from dashboards and terminal windows throughout the tournament weekend. Your soccer tournament is an event, like Lollapalooza, Bonoroo, Coachella… maybe not as big, but like these festivals, part of the planning now includes ubiquitous internet access. Your attendees expect it and you need it to administer your event. You can’t ignore it, just like you can’t ignore planning your port-a-johns. Internet is not some magic that gets pulled out of the air; it is a series of hardware and software bits that have limits. Even if you have your own wireless device or use your cell phone as a hotspot, you are still relying on the cell towers hundreds/thousands are using to get a signal out to your website admin. You want to remove that bottleneck. Get a dedicated DSL or cable router access from your local provider for the HQ tent. If you create a WiFi zone for your staff from this connection, make sure it is password-protected and not shared with anyone except your scorekeepers. You need a path into your admin area. It is worth the extra money. Position the scorekeeper off-site, in a facility with a hard wired router that is not part of the same wireless cell tower that is being inundated by traffic at the site. Usually voice and text messages can get through, even as the data channels are being bombarded by traffic. This could be a volunteer or tournament staff member sitting in their home, on their own internet network. Call in the scores. Lastly, if you can, make a deal with your local wireless provider to get a C.O.W (Cell On Wheels) unit positioned at the park to handle the increased load. These are a bit expensive, several thousand dollars for one unit for one weekend and should be planned well in advance of your event. You may be able to strike an in-kind deal with a local provider. If you get a C.O.W, make sure that your provider limits it to your TourneyCentral website (we can help with IP addresses if needed.) Every other bit of traffic like to Facebook or Twitter can be handled by the cell tower infrastructure. And follow up with your local government officials, let them know your tournament is a vital part of their community and contributes to the economic impact for local businesses using your Tournament PulsePoint™ Show them that internet at the parks is not just something “nice to have,” but a critical measure in ensuring your tournament — and their community — remains a desirable place to spend a weekend. We will have gifts! Stop by and say hi. So you want a tournament app. Here’s what you need to know. 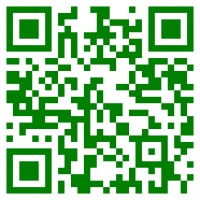 Maybe you want a tournament app for your soccer tournament. Here’s what we learned about event apps by using the 2018 United Soccer Coaches Convention app. We used the app; in fact, we gamified it a bit (just a little; keep reading to see why we didn’t go all out.) But by doing so, we also learned a bit about how a captive audience uses event apps and how you can use what we learned with your own soccer tournament event app. Photos with dogs and soccer balls are even hotter! Maybe it was because postings with photos got more points or maybe we are now firmly in the Instagram age where people feel more comfortable, but posting with photos and short captions got the mosts likes and responses. Disclaimer: See boring stories below, though. Not all photos are created equal. The main takeaway here is that your photos don’t need to be at or of the event you are attending, but they do need to be connected somehow with the experience. Branch out a little, include a personal detail and how what you are experiencing at the event is linked to you. 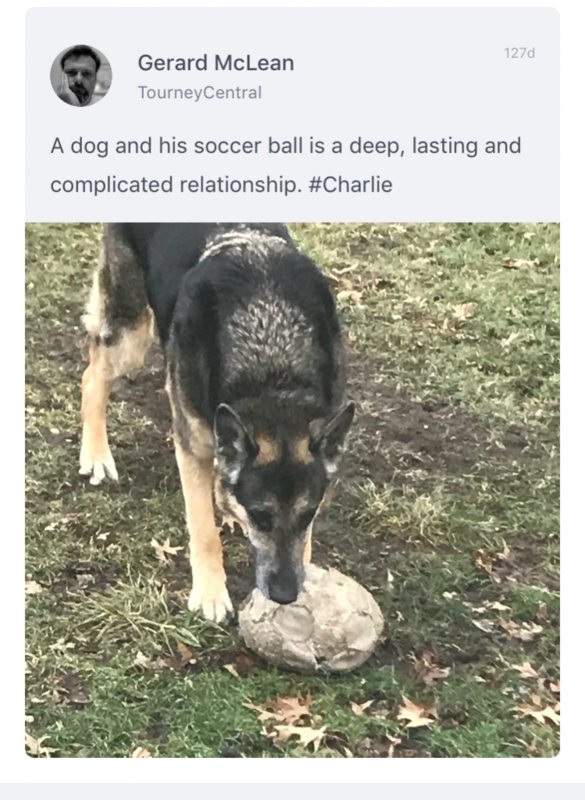 For me, it was my dog, Charlie and his favorite soccer ball…. or what used to be a soccer ball. Seriously, do I even have to say it? People who were at the show and saw our posting in real time showed up; we had cookies and we chatted. No agenda, just sharing free cookies. The cookies did not last long. If this photo made you hungry and you need to tear the pantry apart looking for cookies, we can pause… hurry back. It is not about the cookies as much as it is about doing something a bit different than what everyone else was doing. Everyone else was posting up photos of their Philly cheesesteak or their crew in front of the booth. 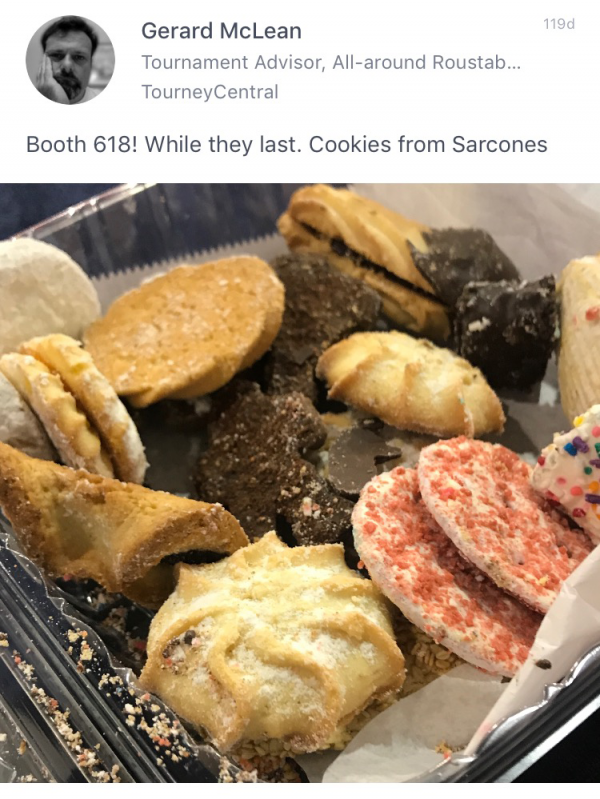 When I think of Philly, I think Sarcone’s Bakery and their cookies by the pound that I buy way too much of. I also had no agenda; I was not using the cookies to hook you into a conversation at my booth. I just wanted to share the cookies. The before crowd is excited to attend the event. When there are not thousands of people all either vying for your attention or aggressively avoiding you, it’s easy to engage on the app at a comfortable pace. People registered, booked a hotel, saw themselves at the conference and “Oooooooooo, they have an app!” They downloaded it, put in a few photos and say something like, “Looking forward to attending/exhibiting/whatever at the conference in Philly #PHL18” They make a few friends on the app who are also excited to be at the conference and stuff their timelines with photos and updates. Then the conference starts and crickets. The real work of attending workshops, manning the booth, collecting leads, following up, doing lunch, attending award shows and finally crashing exhausted on the hotel bed, get up, do it again tomorrow….. while they may update their own Facebook, Twitter, Instagram and LinkedIn,* posting to the conference app falls off the to-do list. *These people with other social media accounts are micro-influencers. While they may not share their experiences with you on your app, they are saying something on their own channels to their own audience. If you can get them to use your hashtag in their accounts, call that a win. Everybody at a soccer tournament has played against that one team at some point. They run up the score, cheering themselves on about what a great job they are doing, oblivious to the humiliation they are causing the other team as well as the branding they get as poor sports. While they see themselves as successful, the other team (and anyone else serious about soccer) looks at the scores and sees a bad winner instead of a strong scoring team. The same thing applies to the leaderboard or timeline of an event app. There will always be that one person or company that runs up the score by posting non-stop about everything. They believe that life (or sales if they are a vendor) is a numbers games and the more they post, the more they will be seen and remembered. And they are right, we do remember them, but not in a good way. We see them as annoying jerks who have highjacked our timelines, gamified the leaderboard and forgot that “winning” at a conference wasn’t about the numbers… it was about the people, the engagement. Same, too, with a soccer tournament. Sure, you need to win the games to win a trophy, but winning by crushing everyone just because you can is really not a win; it’s just getting a trophy. It makes you a bad guest. I call this “The Privilege of the Ruling Class” because the insiders use their leverage to get free stuff. We’ve all seen this at events where the players of the host teams march past the concessions line into the HQ tent for snacks and food or the head coach of a host team hangs out in the HQ tent with their players. Maybe they get free rides to their games on a golf cart instead of walking. Maybe they get better seeding than your team. You know how that feels, especially when you know they are competing for the same trophy as you are. And you paid to be there; they most likely didn’t. It just creates bad feelings all around, like your team has to try twice as hard to just compete. I was legitimately sharing photos and commenting on postings throughout the day, knowing full well that the #PHL18 convention staff would be logging on in the mornings and evening, commenting and posting, bumping me down on the leaderboard and running up the score. They had the advantage; they were that host team. If I was not engaging as a social experiment, I would have been demoralized. Now, I just have data. Posting a photo or a company pitch is not a story. Your entire crew standing in front of your booth is not a story. A photo of your Philly cheesesteak when you are in Philadelphia is not a story. A story about a convention being held in a convention center is not a story. These are boring, boring, boring. Maybe “nobody” is a little harsh, but it’s so close to true that we can assume it to be true. So should you. A soccer event has what we have termed, a 90 minute attention span. So do conferences. So do most events. You should put more energy into your social media platforms, converting micro-influencers to engage with their own content within their own platforms, rather than trying to capture them onto your tournament app platform. People want your soccer tournament to fit into their lives, not your event into theirs. They already have micro-networks of their own with their friends, family and teammates. They will not share your photo with their networks, nor will they allow you to inject into theirs… unless they give you permission. They may download your tournament app, they may not, but you will expend a lot of marketing energy trying to get them to. Even if you get a majority of folks to download your tournament app, unless you get 100% of the attendees, you will not reach them on the app without also reaching them on your website (which is also mobile) You are just causing more work for yourself when you need less to be doing during the tournament. Permission comes in the form of a hashtag, a photo or video share, a mention, a location tag. And it is really hard to get. Like, insanely hard. Be grateful for every single one, even if the numbers are low. For each “share,” remember there are dozens — if not hundreds — of “views” behind it. Don’t be grabby or needy with attention. Learn to work with where your audience is instead of trying to drag them off to another platform you wish they had. While it may be your most enthusiast users will download your app, they will be a small minority of your total audience. Speak to them but don’t lose sight of the larger picture. Learn from our attendance at the United Soccer Coaches Conference. Or, better yet, come out to the one in 2019 in Chicago! See you there. We’ll probably search for you on their app.